An erect plant which suckers freely to form thickets. 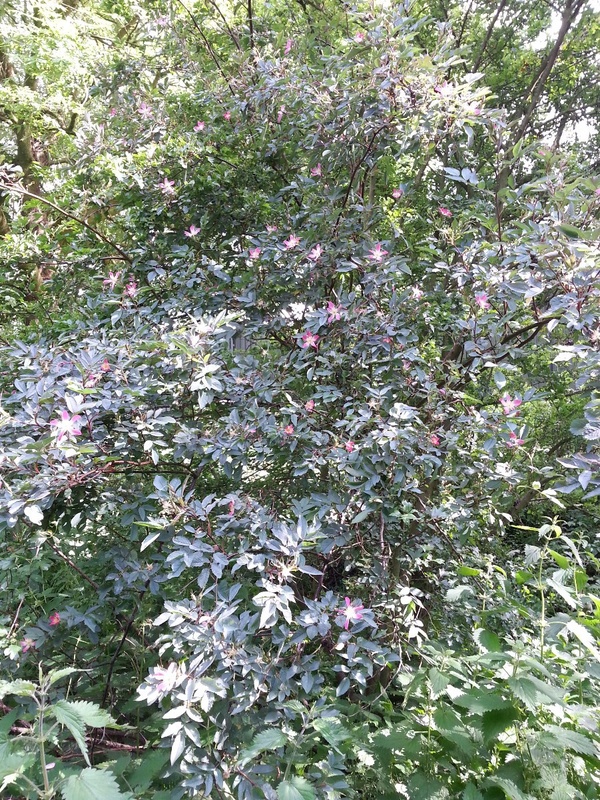 It is a medium-sized shrub with sparsely prickly, reddish stems bearing contrasting greyish purple leaves, and single, pale-centred, deep rose-pink flowers up to 4cm in width, followed by almost spherical red hips. 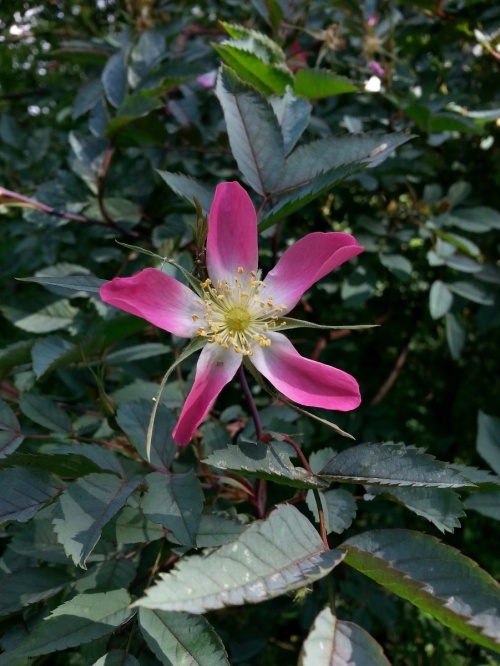 It is found as a naturalised garden escape or throw-out in woodland, hedgerows and scrub, and on roadsides, railway embankments, sand dunes and waste ground; it also occurs as a relic of cultivation. Widespread but infrequent in the wild in Britain. Uncommon as an escape from cultivation in in Leicestershire and Rutland. In the 1979 Flora survey of Leicestershire it was only found in 1 of the 617 tetrads.